When a tree has been cut or fallen down in a strong wind, you're often left with an ugly and sometimes hazardous tree stump. Stumps are difficult to deal with yourself, generally you’ll need to call in a professional tree expert for advice. 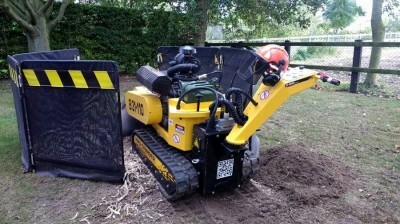 Herts Stump Grinding uses the latest in stump grinding technology and machinery, whatever the size large or small we have the capability and expertise to complete the job. By hiring a professional to grind out or remove a tree stump, you will not only prevent it regrowing but will be helping the environment by not having to treat the tree stump with harmful poisons to stop it from contracting contagious diseases such as Honey Fungus. For us to understand the issues you're facing and know what type of machinery to use to achieve the best result, we will send out one of our tree specialists to assess your property and offending stump. We'll provide you with a competitive quote along with information on what to expect when stump grinding takes place. We can even provide you with a risk assessment and method statement if required. We offer a professional service for both commercial and domestic customers using only the best specialist machinery available. Email us today for more information on how we can help, or call on Tel: 01763 448095, Mobile 07599 549363.